My name is Duck Hunt, #F150. I had decided that my name was going to be Betty Rumble because many people tell me that I laugh like Betty Rubble. After I emailed Deadwards with my name and number, we had a bout and then there was an after party. Manta and Fanny came up to me at some point in the night and suggested my name be Duck Hunt, as my laugh also sounds like the dog that laughs at you when you miss the clay pigeons from the original Nintendo game, Duck Hunt. Teammates call me Duck or they simply quack at me. Outside of practice, I’m known as Katie. I manage Press Coffee Co. in Coralville, knit, play pool, listen to music, hang out with friends and dogs. What’s your favorite part about being on the track? 99% of the time I am a blocker. I enjoy being positioned in lane 1 or 4 on the track and being responsible for that lane. My favorite part about those lanes is giving the opposing jammer a glimpse of an area that they could potentially use and then taking it away from them. Once in a while, the bench coach puts me in as the jammer. I’m not the best jammer by any means, but I believe that it makes me a better blocker to also assume other positions during a bout and at practice. How long have you been skating and why did you join? I’m old enough that I grew up roller skating when i was younger. I had a sweet pair of Care Bears roller skates with red wheels that I adored. The story of how I came to tryout with the team is kind of like Cinderella, but without the prince. My friends and I were meeting for dinner and drinks downtown Iowa City one night. Grace had brought her derby gear and it was in her car because she was going to give it to Ashley, who used to play for the Havasu Hit Girls, Lake Havasu City, Arizona. Ashley was going to take all of Grace’s gear and donate it to her team. During the drinking portion of the night, they suggested that I try on the skates and if they fit, that I should try out for the Iowa City team. We went back to the parking ramp, I tried the skates on and they fit. So from then on, I started skating outdoors around Kalona so that I could re familiarize myself since it had been so long. I tried out 2 years ago this month and made it!!!!! I marched Drum and Bugle Corps with the Colts Drum Corps for 6 years and dabbled in some volleyball, basketball and track before that, but at the time of tryouts, I was looking for something to get me a little more active in my old age. I played with the Iowa City Women’s Pool League and was taking a break from that at the time, unsure if I would return to pool, but I wanted to do something that would get me stronger and get more active. Joining OCCRG was the best decision I could make for myself. 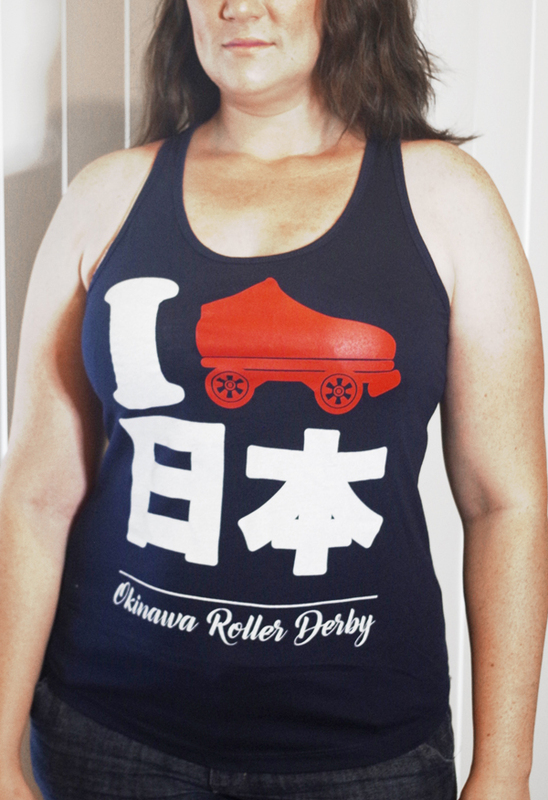 What’s your favorite overall thing about roller derby? I have a lot of favorite things about derby, but first and foremost is the people. My teammates, refs, support staff, volunteers, fans, etc, everyone that plays a part with being involved in this incredible sport. I also really love how active my parents have been with my new love of derby. Anything that i’m passionate about, they immediately jump on board and support me 110%. They want to help, volunteer, watch, talk to their friends and people at work about how their daughter is in on a roller derby team. What was something unexpected that you got out of roller derby? Self confidence for sure. Prior to derby, I did not like my calves or thighs, they were really muscular and didn’t look very “lady like”. I don’t know why i was so concerned with this, because being lady like is not a top priority to me, but I was always covering them up by wearing baggy shorts or pants. I now wear mid thigh skirts and above the knee shorts, I wear tank tops sometimes and even bought a bathing suit. I buy smaller sized jeans and I even need a belt!!!!! I was definitely not expecting to have such a huge personal make-over both inside and out. My biggest accomplishment personally thus far was taking down Batr Up at practice one night. She is so strong, solid as a rock and very hard to move on the track, I hardly ever see her on the ground and I was able to lay her out. I had never before received so many high fives, pats on the back, pats on my helmet, and people congratulating me. I also felt like that moment happened in slow motion, it was just totally unreal to me that I did it. I started apologizing profusely. I felt like i couldn’t do anything more epic than that in practice and kinda just wanted to go home (i didn’t). Biggest accomplishment as far as the Ped Maulers, I would have to say our win against the Dubuque Bomb Squad. Now don’t get me wrong, every bout that we’ve played this year has been an awesome learning experience, but having that one win under our belt felt really good. What do you still hope to accomplish? I would like to accomplish a better amount of laps in 5 minutes. That is something that I’ve been striving for since the beginning. I’m so close to my goal that I can taste it, but I recently bought new boots and the breaking in process has been difficult to say the least. Goals for next year. . . to grow the Ped Maulers so that we have a full roster, play with the Ped Maulers during practice more so that we can find our groove as a team and hopefully become a force to be reckon with just like the All-Stars. Duck’s special ingredient to happy smelling gear. Any advice to new skaters? Advice for new skaters. Wash your gear. Wash Your Gear. WASH YOUR GEAR. You have to do laundry anyways, so you might as well throw your gear in there as well. I’m very adamant about washing my gear on Sunday and Wednesday nights and then letting it air dry on my octopus hanger until the next practice. I don’t usually put my gear in my bag, I take the octopus hanger and hang it in my truck and bring it in to practice with me. My teammates. Watching the vets, with the incredible amount of skill that each of them have, inspires me to come to practice so that one day I can do crazy moves like they do. Everyone who sticks with this sport is a hero to me, no matter their skill level. Having the drive to keep pushing yourself after every fall you take, takes a lot of self motivation to keep wanting to do it. Everyone that has returned to the team after an injury is a hero to me. Overcoming your fear of how you broke yourself and returning to the sport that did that to you, must take a lot. How has derby affected the rest of your life? I feel like I was pretty organized prior to derby, but with living in Kalona, working in Coralville and having a life outside of those things, takes a lot of planning. Packing for the next day has become a constant nightly routine. Making sure i have work out clothes, sweatshirt, sweatpants, socks, shoes, all my gear, helmet, mouthguard, deodorant, a change of clothes and anything else i might need for the day. I’m a bag lady. I’m typically leaving the house with 4-5 bags on a derby day so that everything is organized by when I need it during the day. Derby has affected my food choices and it has even made me want to work out, so that I can be stronger and less sore during and after practice. I think more about stretching during the day and at night and want to do my best to prepare my body for the beating it will take at practice. It's time to Roll HOs!! !